Imagine walking down an aisle at Target and casting a glance at a big orange bag of Cheetos on the shelf. Next thing you know, an ad featuring Chester Cheetah pops up on a video monitor in the aisle. Despite the threat of cheese dust everywhere, you are unable to overcome your Cheeto lust and toss a bag in your cart, all the while wondering why the commercial appeared onscreen just as you passed the snack. A new eye-tracking device called SideWays is responsible. Currently a prototype, SideWays can recognize several pairs of eyes. Created by Andreas Bulling of the Max Planck Institute for Informatics in Germany, along with colleagues from the UK’s Lancaster University, SideWays can be much more than just an advertising tactic. According to New Scientist, SideWays was unveiled this week at the Conference on Human Factors in Computing Systems in Paris. What makes it unique among previous eye-tracking devices is its ability to track up to 14 different individuals’ eye movements. 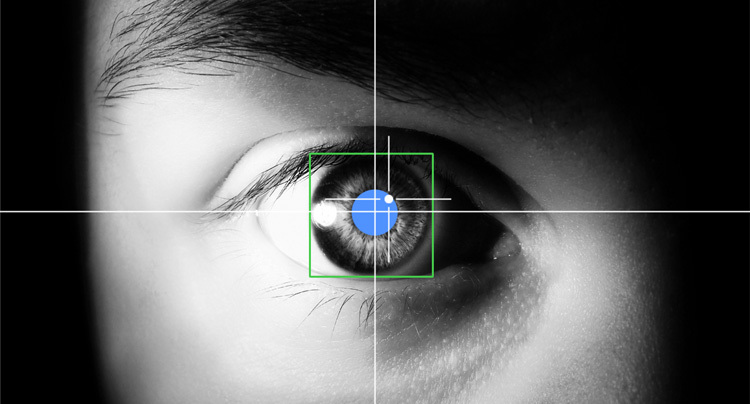 Until now, the vast majority of eye-tracking technology could only recognize one person’s eyes. SideWays is able to track the horizontal eye movements of people of different heights, ages, and eye colors. It works by detecting the corners of your eyes and where they are in relation to your face. From here, the computer program is able to find and track your pupils. As of right now, it’s only able to track horizontal eye movement. Eventually, it will also track vertical eye movement, though it’s more difficult because the eye moves less when going up and down. To demonstrate how SideWays works, the creators had test subjects look at a series of CD covers to engage the people and the software to recognize their eye movements. While Bulling and his colleagues believe Sideways would have immediate applications in advertising, they also believe that it could change the way people interact with displays that aren’t close enough to touch, such as a billboard in Times Square or a television. SideWays still has a ways to go before the program is able to recognize multiple gazes at one time, but the creators are working on it. They are also working on getting the technology to properly track the eyes of people wearing glasses, which is a challenge due to the frames and the reflections that glasses can cast.